KAYU® Sapphire™ is a beautiful, warm, reddish brown color with gold colored flecks and a gorgeous, natural color variation. 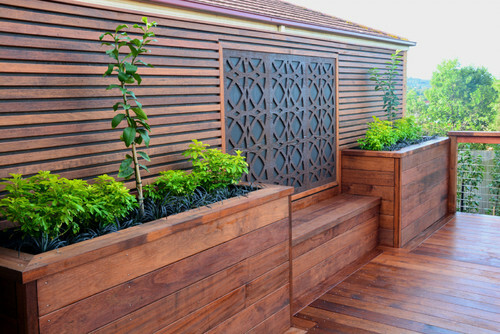 A carefully selected Dark Red Merbau hardwood species which is a top choice to homeowners due to its natural beauty, longevity, durability and relatively low-maintenance. Class-A flame spread rating, 100% clear grade, kiln dried and always double inspect by KAYU exclusive graders. One of the finest quality hardwoods on the market and a proven performer.